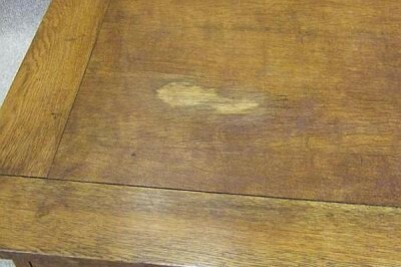 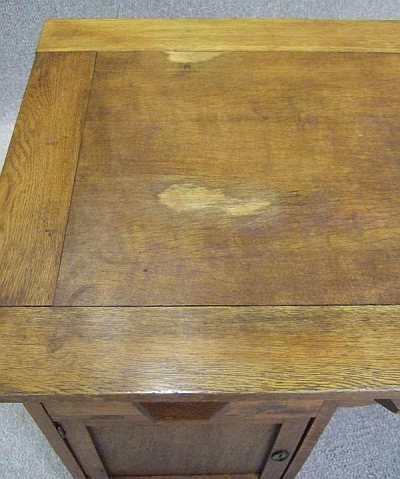 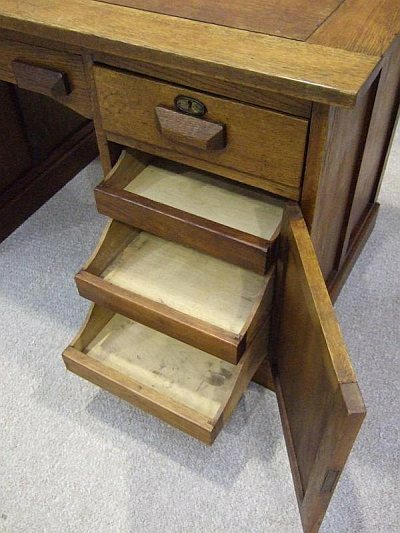 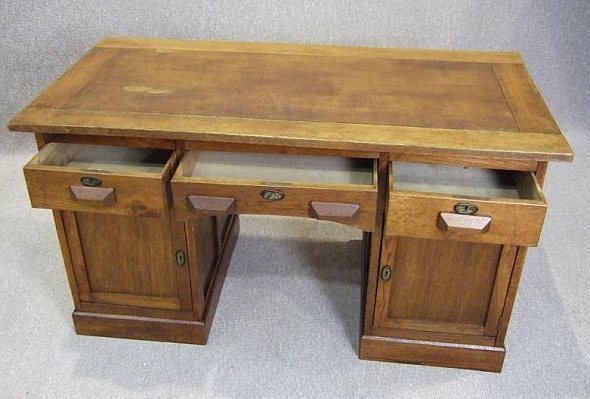 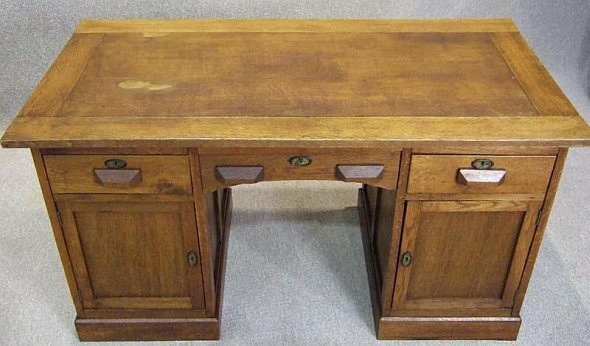 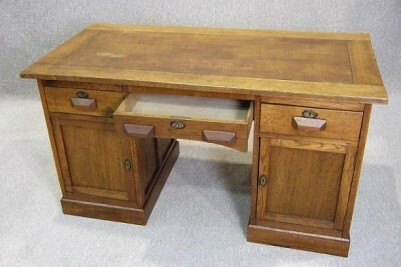 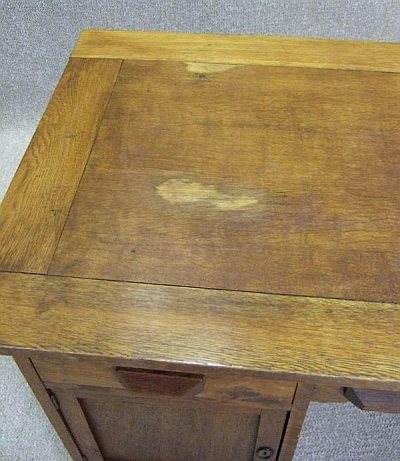 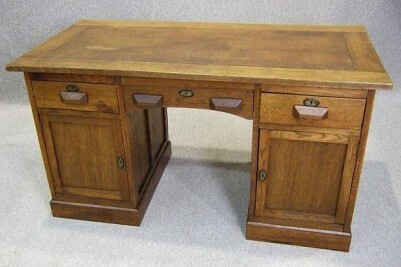 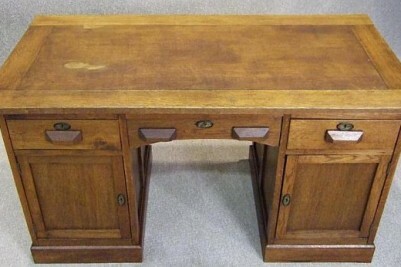 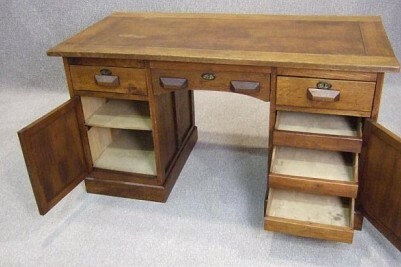 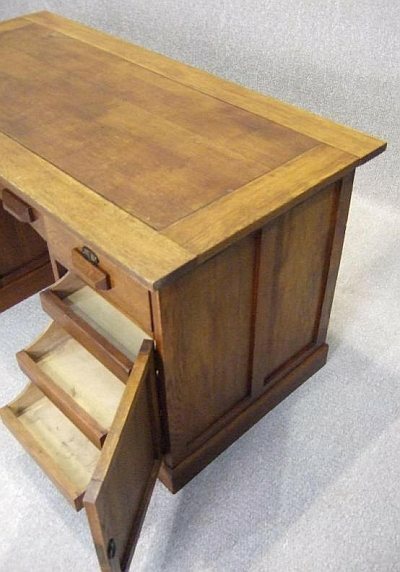 A useful golden oak arts & crafts style twin pedestal office desk. 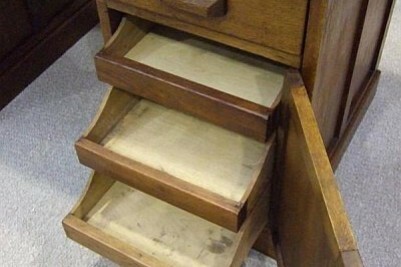 With three drawers to top, sitting on two pedestals; left hand pedestal having internal shelf, and right hand pedestal having three internal drawers. The desk is ideal for any home office or computer room/study. This piece dismantles into four separate parts for ease of transportation and reassembly. 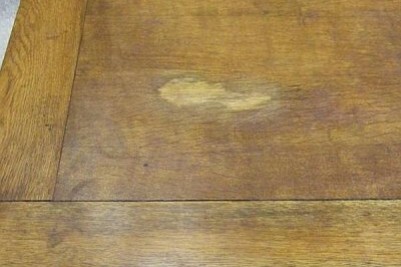 The item is in good condition for its age, but sadly, there are some marks to top which have been photographed. 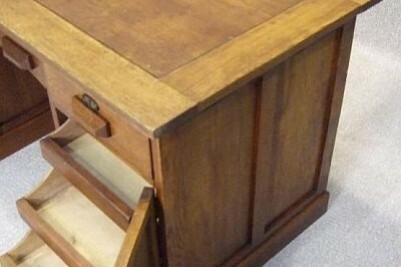 This is still a good sturdy piece of furniture for any period interior.